Would you like contacting if or when stainless-steel-wallet becomes available again?" 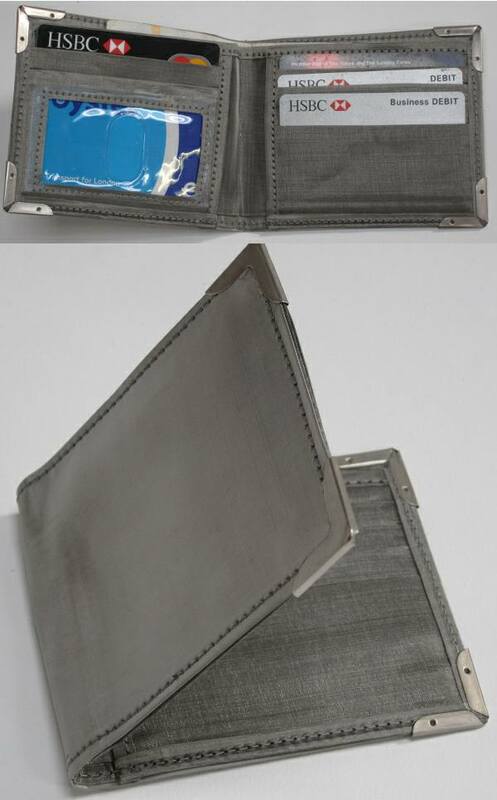 Look at this stainless steel wallet, so sleek, slender and silky, yet woven from stainless steel thread. Super strong and rugged, yet light and the woven metal fabric is three times thinner than paper. Look at all the pockets, for banknotes, credit cards, even a travel pass window. 3 card sized pockets for your credit debit and membership cars, two inside pockets, the travel pass window, and a big pouch for notes. 4.5 in x 3.5 in x 25 in / 11.2 cm x 9.2 cm x 0.6cm to fit your pocket. The wallet stretches to take what you want, blocks any RDIF scanning attempts to steal your card numbers, and is almost indestructible. Yes, it is practical, but that is not why you want one, or why someone would be thrilled to have one as a gift. It is a stainless steel wallet!!! And you do not need to be a moneybags to own or gift one. Stainless Steel Wallet text, images and video are copyright.